We are pleased to offer our most popular products in downloadable formats. We have two free downloads available to you on the right so that you can try out our products and the downloading process. Click on the Download Now button to the right and fill in the contact information to receive your free gift. We will not ask for credit card information because this pack of maps is absolutely free. When you receive your confirmation receipt, click on the blue "download" button and save the file to your computer. (Scroll down for detailed download instructions at the bottom of the page). Also, below the World History Sampler is an additional free download - one story from our new biography collection What Really Happened During the Middle Ages. We hope that you enjoy your free gifts! Now that you are comfortable with the download process and with the quality of our ebook products, you will want to order one or more of the items listed below. (Scroll down for detailed download instructions at the bottom of the page). 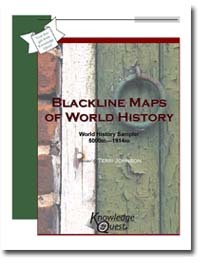 American History Maps $19.95 or Free (reg. 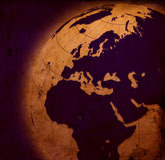 $19.95) Receive this map download free when you purchase all four world history map sets above. Add all 5 sets to your cart and use coupon code FBMAH to receive your $19.95 discount. Do you not have room for a wall timeline, but still want the benefits of creating one with your students? Here is your solution. Wonders of Old is divided into four historical time periods: ancient, medieval, new world and modern. Significant dates are listed at the conclusion of each section as a helpful reference. Read more about timelines. This collection of historical biographies geared toward 8-14 year olds presents the lives of ordinary people who accomplished extraordinary deeds during the time of the Middle Ages. Illustrated with stunning portraits, this inspiring compilation of stories describes with historical accuracy and age-appropriate content the quality character and unbending determination of St. Patrick, Theodora, Alcuin, Wenceslas, Eleanor of Aquitaine, Joan of Arc, Johann Gutenberg and Martin Luther. Retail $15.95 Read more about this book and view illustrations. Purchase the Printed Book and receive the eBook today for only $1. Offer good until 5/31/06. If we can be of any assistance to you, please drop us an email at inquiries@kqpublishing.net and check out Our Products for more detailed descriptions. Thank you for your interest in Knowledge Quest maps and timelines.